The EHF Court of Handball has reached a decision following disciplinary proceedings against Viktoriya Borshchenko of Dinamo Volgograd (RUS) initiated for serious unsportsmanlike conduct. The player received a direct disqualification at the 57.26 minute of her team’s EHF Women's Cup Winners Cup semi-final match against FTC-Rail Cargo Hungaria (HUN) on 7 April 2012. She will be sanctioned with a one match suspension based on article B.1 of the EHF List of Penalties. 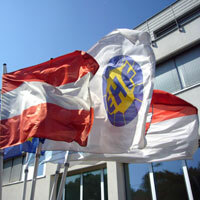 An appeal to the EHF Court of Appeal may be lodged by the player and/or his club within seven days.